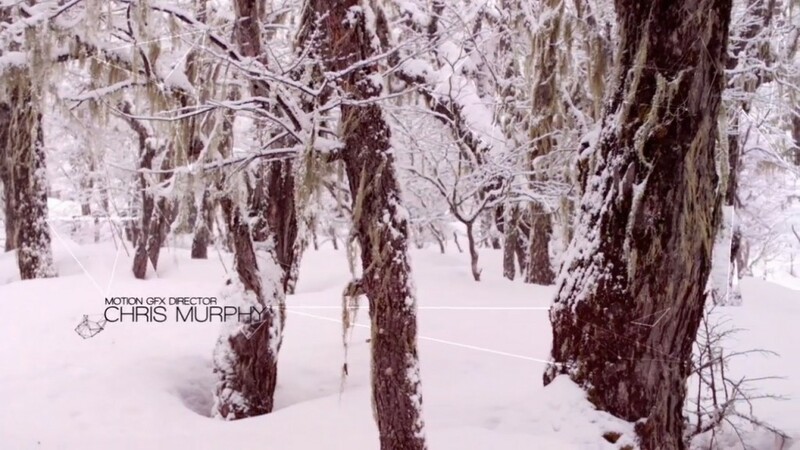 This is a repost of the Chris Murphy interview article that was published on Aescripts. 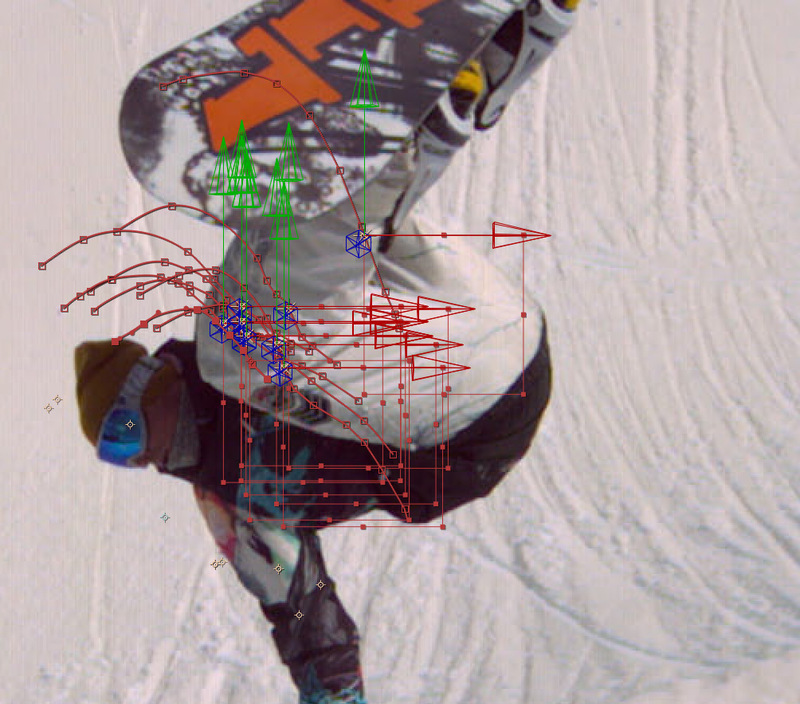 The Red Bull Media House and Brain Farm film "The Art of Flight" is a landmark achievement in action sports filmmaking (and filmmaking in general) and so it is only fitting that it has an equally impressive title sequence. We are extremely proud that Plexus helped play a part in it and it is why we are sharing it with you here. The design and productions of the title sequence was led by creative director Chris Murphy who was gracious enough to grant us an interview. Enjoy. For me, everything started with skateboarding. Skateboarding really influenced me to make films as a young kid. I moved to Bozeman, Montana to go to film school, started teaching myself about graphics in film school and later on started doing title sequences for my own films. That's really how my passion motion graphics and design began. Have you always lived in Montana? Yea, pretty much. I haven't moved away from Bozeman since film school. My work requires me to travel a lot, but I love it here and have no intentions of moving anytime soon. 'Art of the Flight' is a pretty big film. How did you end up doing the title sequence for it? A few years back I filmed and directed a skateboard film and designed the title sequence with my friend, Zach McIntosh. I showed the film and our reel to Curt Morgan from Brain Farm Digital Cinema and he asked if we would be interested in designing the title sequence for "That's it That's all", the prequel to Art of Flight. Did you have to pitch the Title Sequence? Because of our prior relationship, Curt asked me to work on Art of Flight, and wanted me to propose some concepts. The final sequence ended up a bit different from the original idea of 3D titles. At first we were designing it all in Cinema 4D, but we didn't have enough time to execute it due to how complex and render intensive it would have been. So I was trying to figure out another way to do it in less time yet still have a similar look. I was reading Twitter one day and somebody tweeted about Plexus. 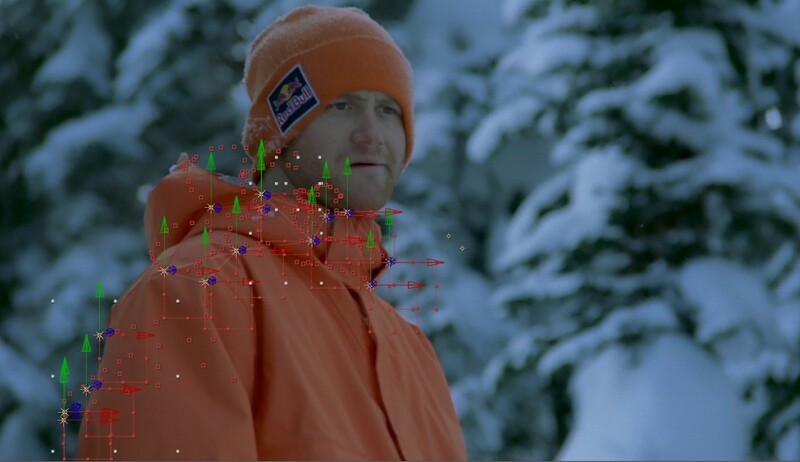 We were really thrilled with Plexus because it gave us a similar look by using After Effects. It allowed us to integrate the point clouds we had already created in Syntheyes for use in C4D and bring them into AE to create the geometry in 3D space. That is very powerful, I feel like we barely scratched the surface of what you can do with Plexus. We had to simplify the original 3D idea but I think the final look turned out pretty cool. The titles seem very understated on the surface but if you look closely there is a lot of detail work in them. It is composited in a way to not draw too much attention? Yea, I wanted the shots to speak for themselves because there is so much beauty in them. I feel that graphics should always compliment the footage and wanted our titles to support the shots and not take away from the image. Did you film any shots specifically for the title sequence? 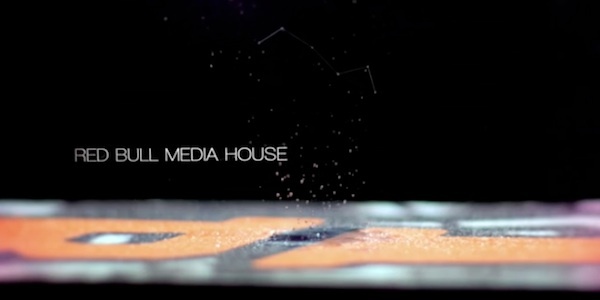 Yes, there are some shots especially in the intro that we shot with the idea of having Plexus points tracked on them. We also used a lot of footage that was shot for the film. Either way, when I'm presented with such a beautiful live action footage, I kinda want the visuals to dominate the sequence. Can you briefly explain your process/workflow? I planned out where the titles should be while I was editing, and once I had the intro sequence picture locked we started tracking the shots. We took the shots into Syntheyes and tracked all the points we were using for the designs. 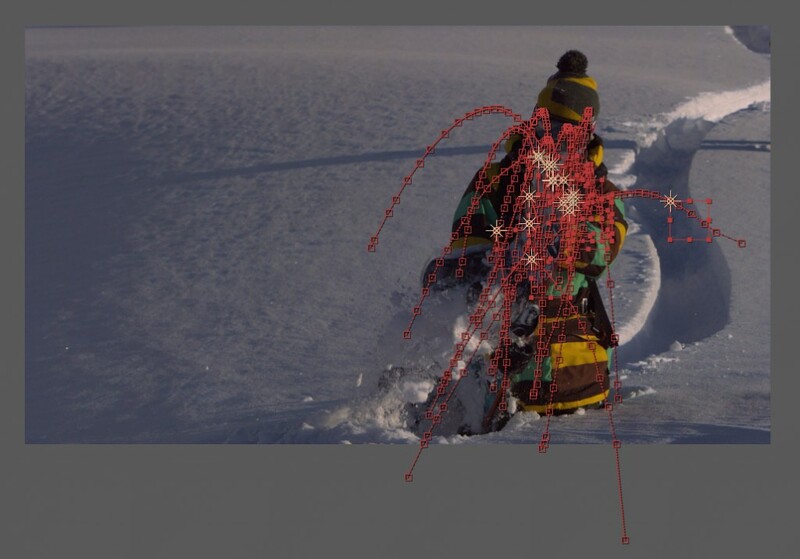 Then we brought those points into After Effects to use them with Plexus. Then we created all of our typography in C4D with lights attached to points on the text and exported the 3D data to AE. We used plexus to group all of the light objects and create our rudimentary geometry. Plexus is actually really powerful and there's so much you can do with it. I wish we would have had more time to experiment with reconstructing geometry with Plexus and point clouds. We could have made some pretty crazy type animations with the plugin. For the text animations we used Plexus extensively. We had experimented with many techniques including bringing 3D objects from C4D. But ultimately our tight schedule didn't allow us to do all the variations we wanted. Can you explain a little bit more about the integration with Syntheyes? 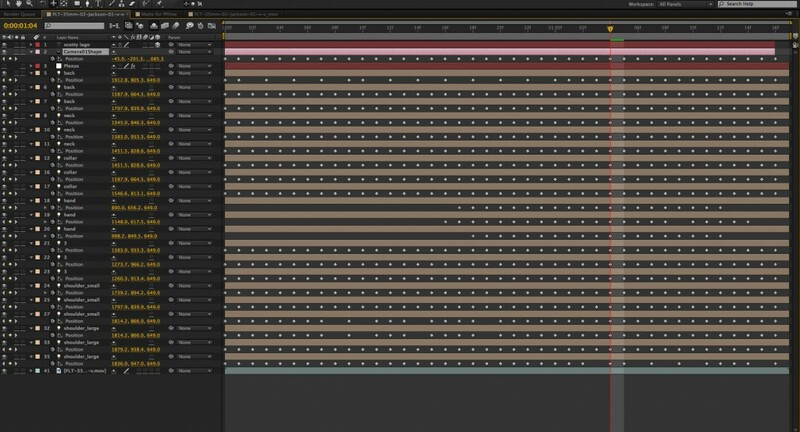 We started out by bringing in a huge number of nulls into After Effects, but later on found a way to handpick the nulls we wanted to export into AE and we attached point lights to those nulls. It was a fast process once we got into it. It was really clean and very easy to setup. It took a few months. I think it was about almost a month of pre-production, then 1 month of shooting and editing, and a final month for graphics. Do you consider yourself more of a technical person or a Design person? In this project I was involved in every aspect both technical and the creative. In the future, I see myself being more involved in the creative direction and design. I like the problem solving aspect of design and I am really lucky to have some extremely talented guys working for me. One last question, Plexus has a modular workflow with multiple effects. Did you find that easy to use when you first started using Plexus? It was very easy to get started. Within a day or less I was able to discover many different techniques with the plugin, and found it very intuitive. I feel like there are more possibilities than I really know right now. Just the fact that you can integrate it extensively with 3D means there is much more to discover. Thanks again, Chris for doing the interview and keep up the great work. Check out the full title sequence on Helio Collective's site. For further reading, here is a great interview with "Art of Flight" director/cinematographer Curt Morgan (Brain Farm) where he talks about the production of his films.